Conditions on the island grew increasingly difficult and three of the men gone to seek the help. On 28th January 1923 three men tried to cross 700 miles across the frozen Chukchi Sea to Siberia for help and food. “They promised that they would come back after they got to Nome, with a ship, and if they couldn’t get there with a ship they would come over with a dog team next winter. They left with a team of five dogs and a big sled of supplies,” Blackjack wrote. They were never seen again. Ada was left behind to look after Lorne Knight, who was afflicted with scurvy and died in April 1923. Ada was left alone except for the company of the expedition’s cat, Vic. She survived alone on the island for four more months before she was rescued on 19th August 1923 by Harold Noice. 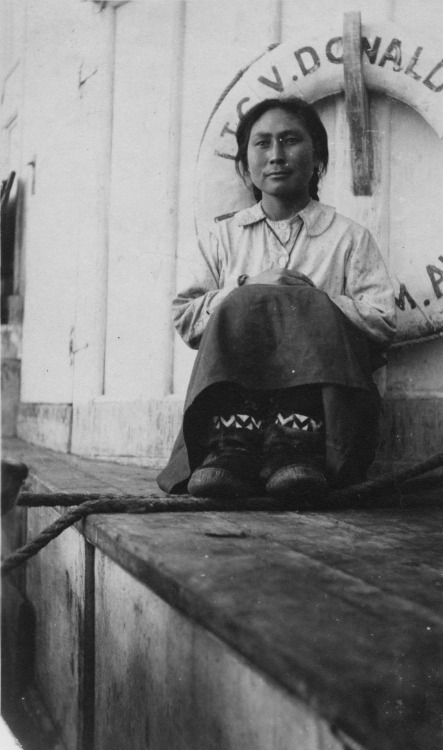 Ada Blackjack aboard her rescue ship, 1923. The story of the ‘female Robinson Crusoe’ was briefly worldwide news before Ada retrieted once more into obscurity. She died in Palmer 29th May 1983. She was survived by two sons, Bennett and Billy. 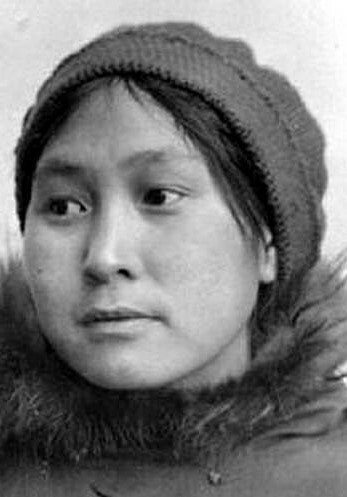 She was quiet and hated the media circus that developed around her and the attempts by her rescuer Noice and Vilhjalmur Stefansson, the organiser of the Wrangel Island expedition, to exploit her story. Except for the salary that she made on the trip and a few hundred dollars for furs that she trapped while on Wrangel, Ada did not benefit from the subsequent publication of several very popular books and articles concerning this disastrous voyage.